A whale vertebrae disk was discovered on the ocean floor of Trinity Bay Newfoundland a few years ago during a scuba diving adventure. With its removal, the ocean weathering process was halted and the whale vertebrae disk's unique textures and patterns were frozen in time. This discovery provided me with an inspirational study piece.... and I was wondering what on earth could I make out of it. 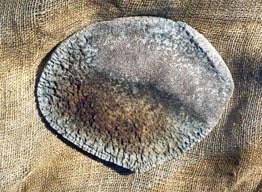 I am a texture fanatic and this vertebrae disk was the best(click on the pictures and see).... 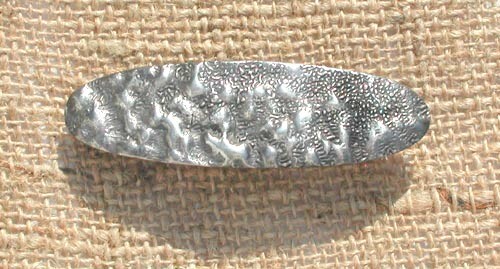 So I decided to make a pewter barrette from the whale vertebrae disk... And this has become the first in a series of Texture Barrettes that I will be embarking on. I am not sure to which whale species the vertebrae belongs. Around Newfoundland, there are numerous species of whales: pilot whales, blue whales, pothead whales, minke whales and humpback whales to name a few. The first picture illustrates the whale vertebrae. There is a dark region (lower section) and an even darker band that straddles across the middle. This section was embedded in the ocean bottom and is relatively intact. The upper lighter section was exposed and fell bestowed a different fate. It has been weathered from the ocean currents and has also been shaped by the organisms that feed on the calcium. 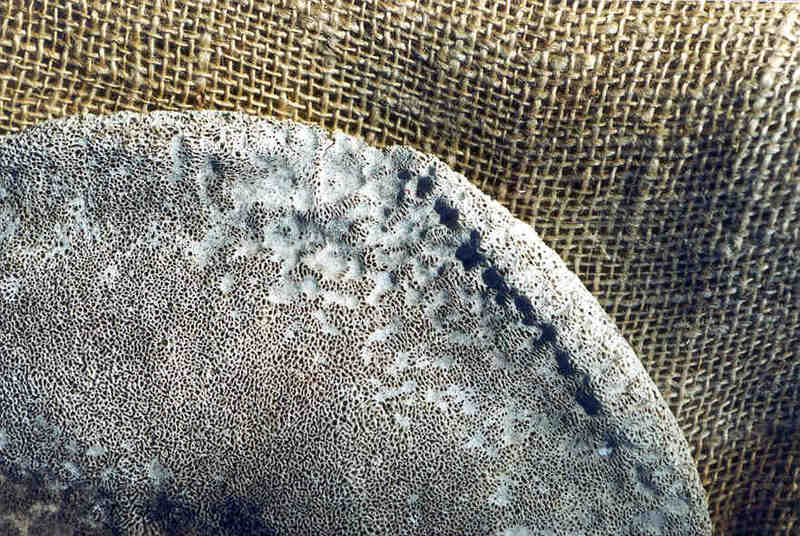 The exposed section can be further divided into two main regions: the smooth regions (white and smooth) and the "honey comb" regions (Sponge appearance). The transition between these two regions I found to be most interesting and inspiring. This is best illustrated in the second picture (Click on the picture).